What are conversational Facebook ads? Why are they such a big opportunity? 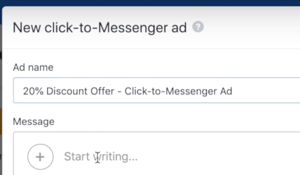 What are Click-to-Messenger ads? What are Sponsored Messages? 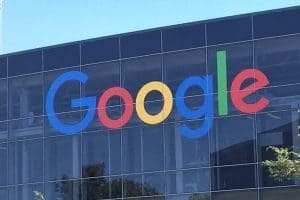 How do I set them up for my ecommerce business and monetize them? How do I meet other people experimenting with them? What Are Conversational Facebook Ads? A conversational Facebook ad, whether it’s a Click-to-Messenger ad, or a Sponsored Message, is an ad that you interact with via an automated chat conversation. 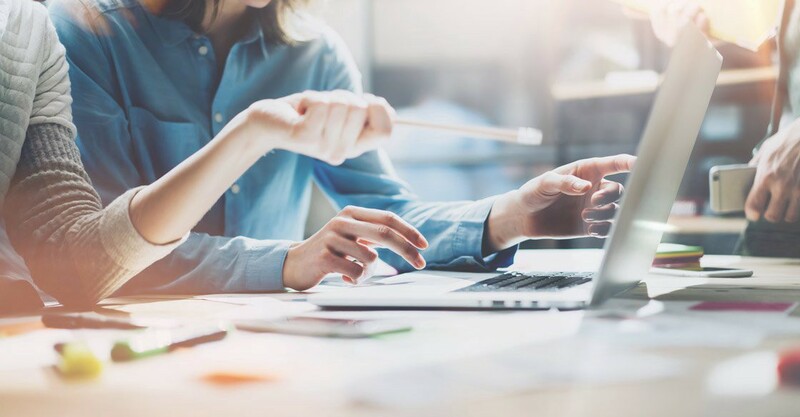 The automated conversations can range anywhere from collecting an email address in exchange for an offer, to asking a series of questions and recommending a product. 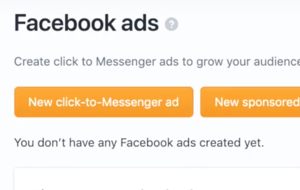 Click-to-Messenger Ads: Click-to-Messenger ads are a type of Facebook ad that link to an automated conversation with your brand’s Facebook page. So instead of linking to a landing page, they start an automated conversation. The secret power of Click-to-Messenger ads are that you can retarget people who click them with a follow up message instead of just pixeling them and showing them a display ad when they don’t complete the objective. 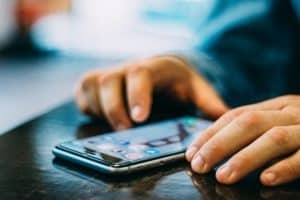 Sponsored Messages: Sponsored Messages are a type of Facebook ad that is sent as a message, and they can only go to people who are already connected to you on Messenger. 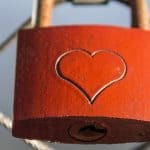 The secret power of Sponsored Messages is that they can be triggered based on custom Facebook Audiences and event data, for example, you can send a message to someone when they look at a page but don’t continue to the next step, or if they have messaged with you but they don’t follow your Instagram account yet. You could even automatically send a custom message to people who watch a specific video from your Facebook page. The possibilities are endless. 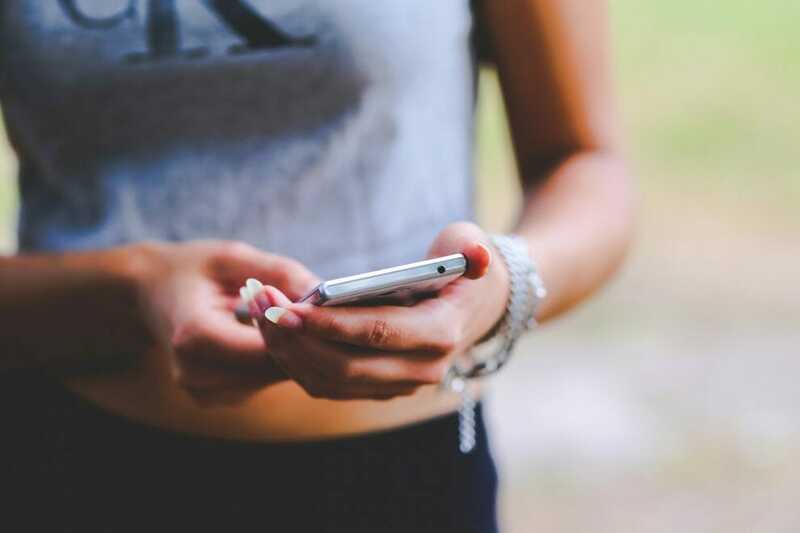 Conversational Facebook ads are incredibly powerful, especially when used in combination and with other Facebook Messenger automations that tie into your customer journey data. Click-to-Messenger ads and Sponsored Messages are a huge opportunity. Scroll down and I will explain why. Great question. 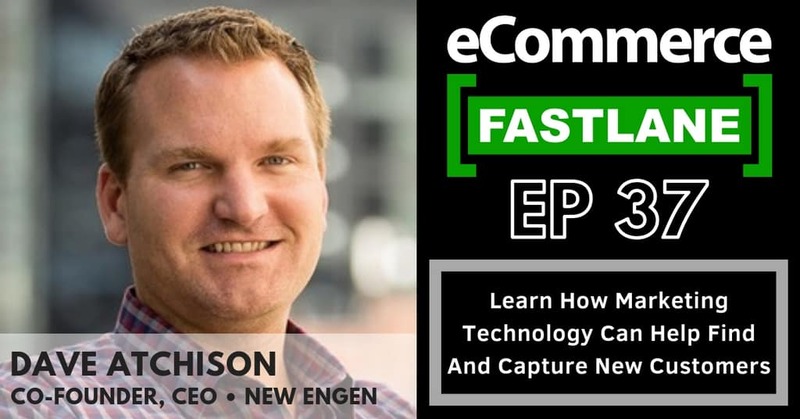 I’ll tell you why ecommerce businesses care about conversational Facebook ads. Conversational Facebook ads are different than any other type of ad on Facebook. Instead of driving someone to a landing page or a form, you are starting an automated and interactive conversation with everyone who clicks on your ad. This is amazing. Why? Because you would never normally be able to have personal 1–1 conversations with all of your prospective customers, but with an AI chatbot and Click-to-Messenger ads you can. Think about it. 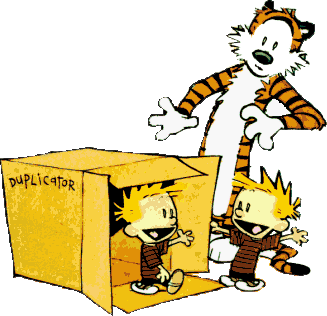 If you could clone yourself infinitely and have private conversations with anyone interested in your products, what conversations would you want to have? What questions would you want to ask? What information would you want to collect? 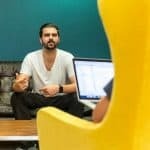 What conversations would your customers want to have? 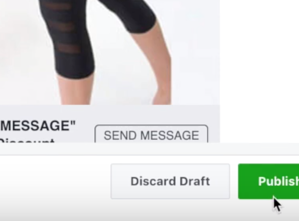 This is what conversational Facebook ads allow you to do, and not only that but they allow you to re-connect with a private message, instead of just showing someone yet another ad in their feed. They are basically science fiction, except they are real. Click-to-Messenger ads provide the lowest barrier to opening an ongoing communication channel with a potential customer. The moment someone interacts with your Click-to-Messenger ad you automatically have the ability to send them follow-up Facebook messages. These follow-up messages can be sent via automated flows or manual campaigns. 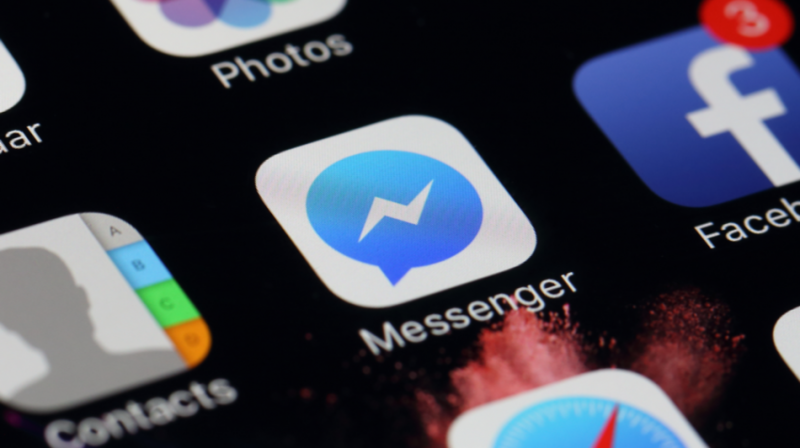 This means that if you use Click-to-Messenger ads to drive sales, you will not only be driving revenue but you will be building an audience on Facebook Messenger that you can interact with moving forward. 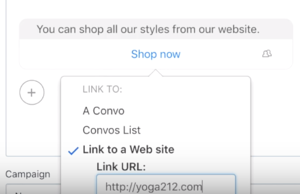 You can automatically send follow-up messages as the customer interacts with your Shopify store and your Click-to-Messenger ad. Like in the example image in the previous section, you can automatically send a follow-up message an hour later if the product in the conversation has not been purchased yet. You can also send follow-ups if they haven’t submitted their email address yet, haven’t answered a specific question, if a purchase is completed, or in any other scenario, you are interested in sending a follow-up message. Automated conversations can be personalized based on how the person interacts with the conversation (Example: Asking whether they like traveling or not and if they say “Yes” then showing them the most popular traveling accessories from the brand). It is very easy to collect email addresses and phone numbers. 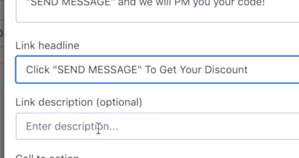 When you ask for email or phone number in the automated conversation, Facebook enables the person to push one button to share that information from their Facebook profile. You can then sync this information with another platform or download it as a CSV. People can add items to their cart and go to checkout directly from the conversation. Instead of taking someone to a website and then needing them to click the add to cart button, people can choose what they want from the conversation and buy it right there. If they don’t complete the purchase they will automatically get an abandoned cart message. Instead of sending 10,000 people to a landing page, driving sales, and then pixeling the rest of them, now you can drive 10,000 people to a conversation, drive sales, and be able to send a follow-up message (via a push notification) to all 10,000 people. So, how should you be thinking about conversational ads? How do you figure out what you want to do with them? I’ll explain it right now. So, first things first, there are a lot of different ways you can use conversational Facebook ads. We need to figure out which ones make the most sense for you right now. At a high level, think about your conversational Facebook ads like this. 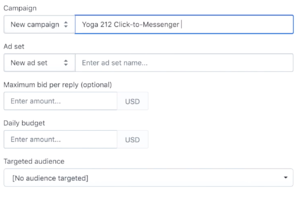 Click-to-Messenger ads = Get people into the Messenger funnel so that you can follow up with them with automated messages when they complete or don’t complete objectives. You can also collect email, phone number, location, any other information you want, and lead people to adding items to their cart or clicking through to a specific web page. 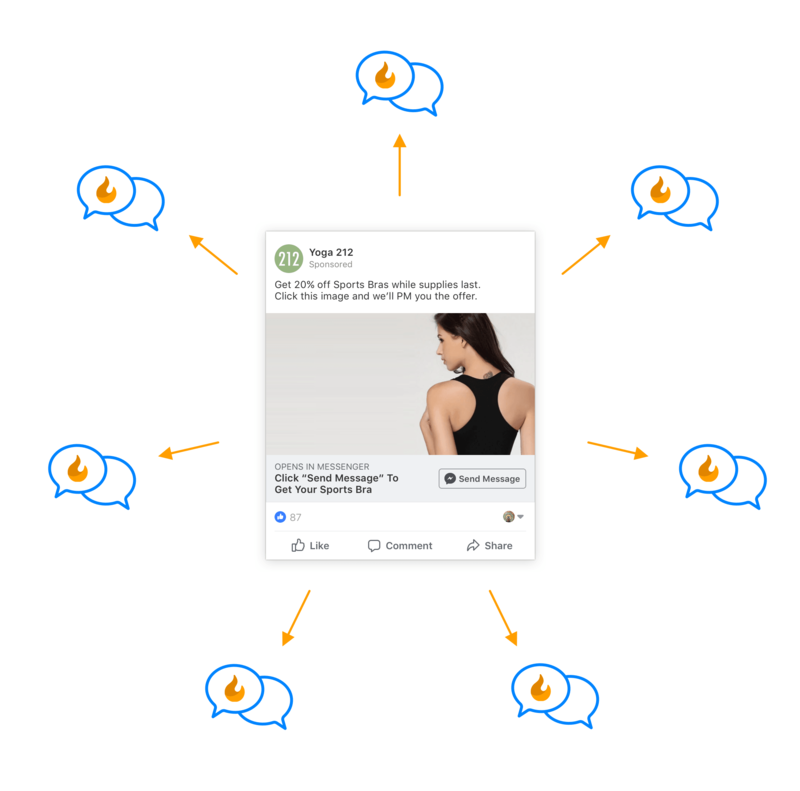 Sponsored Messages = Automatically follow up with people with a message when you want to nudge them down the customer journey and you want to target based on Facebook Audience data (browse abandonment, etc). 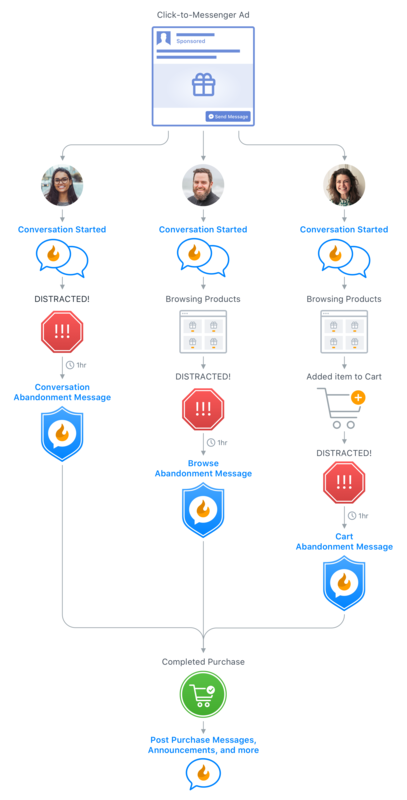 There are a lot of things outside of ads that you can automate on Facebook Messenger, like abandoned cart messages, automated customer support, data collection, and more, but for now let’s focus on the conversational ads (if you want to dive into all the things you can do with Messenger automation, check out our 39-page Ecommerce Messenger playbook). Product Finder: Ask the customer their preferences and show them products that match. Product Customizer: Ask the customer how they want to design their custom product, and send them to a call to action to order. Customer Satisfaction: Ask the customer about their shopping and product experience so that you can collect that hard to find data. Newsletter Signup: Collect email address in the conversation and automatically sync it to an email platform like Klaviyo. 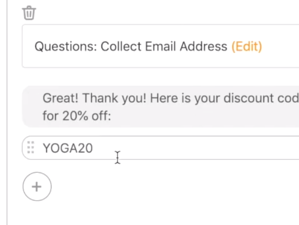 Incentives: Offer a discount code in exchange for the person to answer questions or submit information like an email address, location, or phone number. Sales Conversations: Automate the first part of a high-touch sales conversation and then hand off to a human to complete the sale. Cross-Sell and Upsell: Send follow up messages to people who purchase and recommend additional products for them to order. 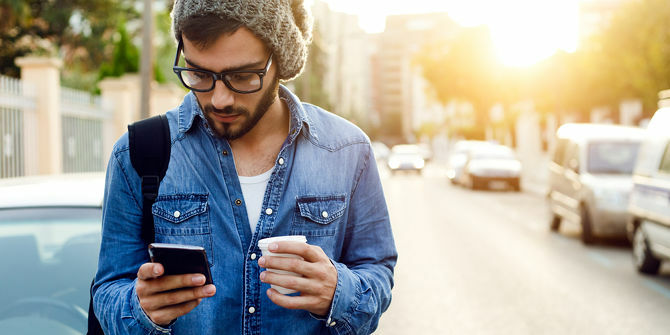 Browse Abandonment: Send a message to people who are connected to you on Messenger, go to your website, but don’t add anything to their cart. Instagram Promotion: Message people who are connected to you on Messenger but do not follow you on Instagram. New Sale or Products: Message people who are connected to you on Messenger about a new sale or product. 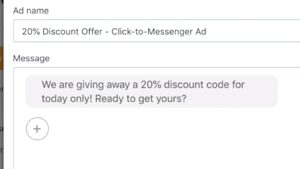 So how do you set up a Click-to-Messenger ad and Sponsored Messages? How do you create automated conversations and track clicks, collect data, and drive sales? Don’t worry, I’ve got you covered! I will walk you through it right now, step by step. 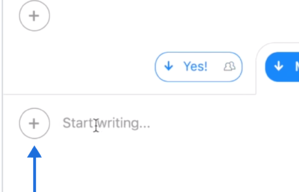 Let’s create a Click-to-Messenger ad together. 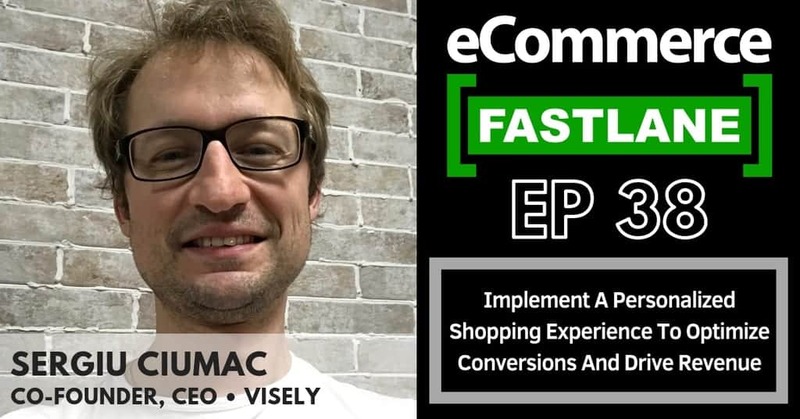 I’m going to walk you through, from start to finish, how to setup a Click-to-Messenger ad for your Shopify store (or for your clients). You can follow along with me in real-time in the video, or if you prefer to read through the steps, I have written them out below. 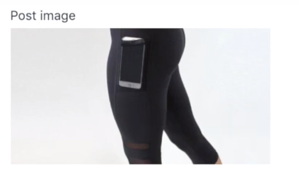 The Facebook ad will offer a 20% discount. Interacting with the ad will subscribe them to receiving future messages over Facebook Messenger. Collect their email address (and optionally sync it to Klaviyo). Message them the 20% discount code and a show them the product with a “Buy” button. Take them to checkout once they push the “Buy” button in the automated conversation. Follow up with abandoned cart messages if they click “Buy” but they don’t complete their purchase. Follow up with order tracking messages once they complete their purchase. Facebook page for your Shopify store. Octane AI bot for your Shopify store and Facebook page. If you haven’t added Octane AI to your Shopify store and Facebook page, you are going to want to go here and take a few minutes to set that up. This will only take a few minutes, once you are done come back here and continue setting up your automated conversation. Next we need to create a question that asks people for their email address. Once we have created this question we can include it in any future conversations we create. 🔹 Go to your Octane AI dashboard and click “Campaigns” on the left hand side. 🔹 Click on “Questions” on the left hand side. 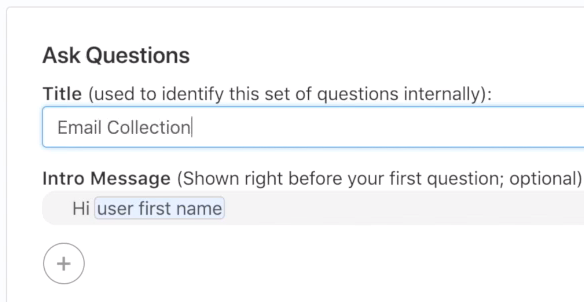 🔹 Under “Ask Questions” enter a title for your question. For now you can put “Email Collection”. 🔹 Delete the “Intro Message”, we don’t need this. 🔹 Delete the “Success Message”, we don’t need this. 🔹 From the + button dropdown select “Email field”. 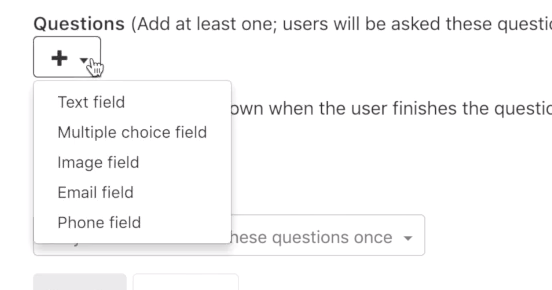 🔹 For “Repeat submissions” choose “Allow users to fill these questions multiple times”. 🔹 Click “Create” to save the question. 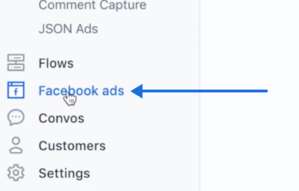 🔹 Click “Facebook Ads” on the left hand side. 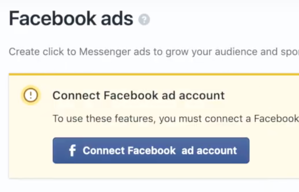 🔹 Click the “Connect Facebook ad account” button. 🔹 Choose your the ad account for your brand and click “Connect”. 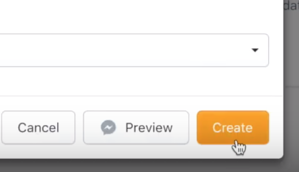 🔹 Click “New Click-to-Messenger Ad” at the top of the page. 🔹 Name the ad something that you will remember. 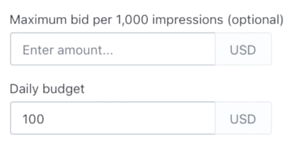 This is what the ad will be called inside of Octane AI and when it appears in your Facebook Ads Manager. 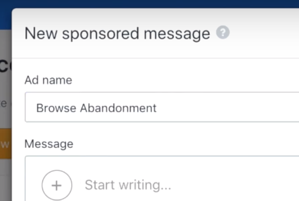 🔹 Write out the first part of your Click-to-Messenger ad message. This is the first message people will receive from your Facebook page when they click on your Click-to-Messenger ad. 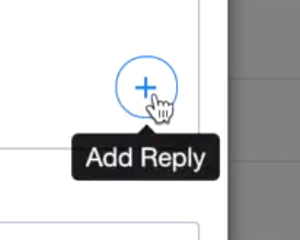 🔹 Click the “Add Reply” button to add the button people can push to respond to and continue the conversation. 🔹 Write the answer into the reply box, for example “Yes!” or “Definitely!”. You can even add multiple options to give people more ways to express themselves. 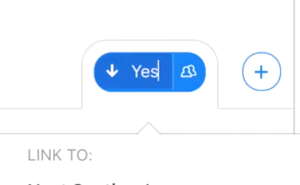 Keep this button set to “Next Section”. 🔹 Click the + button in the next section. 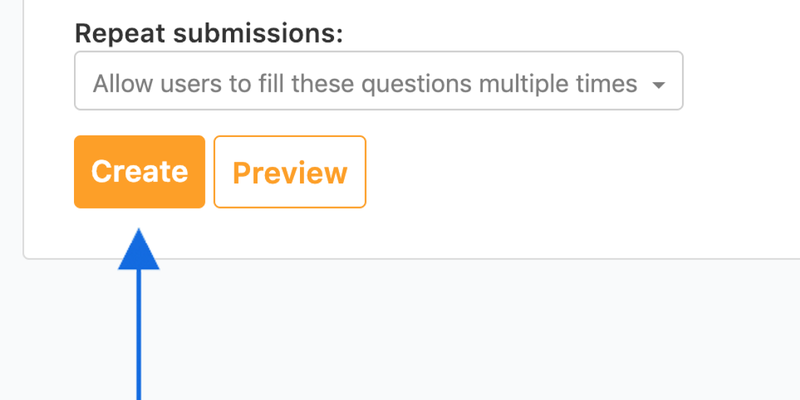 🔹 Select the “Questions” icon and then select the email question we created earlier. 🔹 If you don’t already have a 20% discount code, we will need to create that now on Shopify. 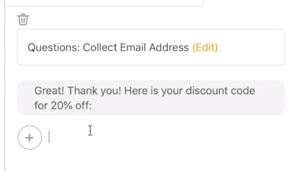 Open up your Shopify dashboard and click “Discounts” on the left hand side. 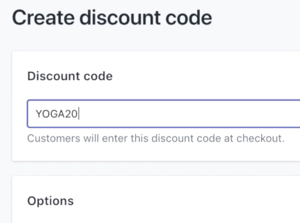 Follow the steps here to create a discount code for 20% off, and then copy the discount code once you’ve saved it. 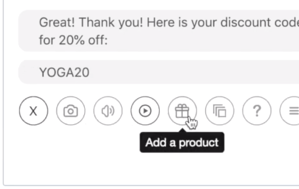 🔹 Paste the discount code on it’s own line in the convo (this will make it easy for people to copy the code from their Messenger conversation). 🔹 Click the + button and add a product by clicking the present icon. Choose the product you want to promote in this Click-to-Messenger ad. 🔹 Add the image that you want to appear in your Facebook ad when it is shown in the news feed. 🔹 Write the text you want to appear in the Facebook ad. 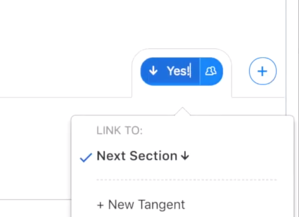 🔹 Update your link headline. 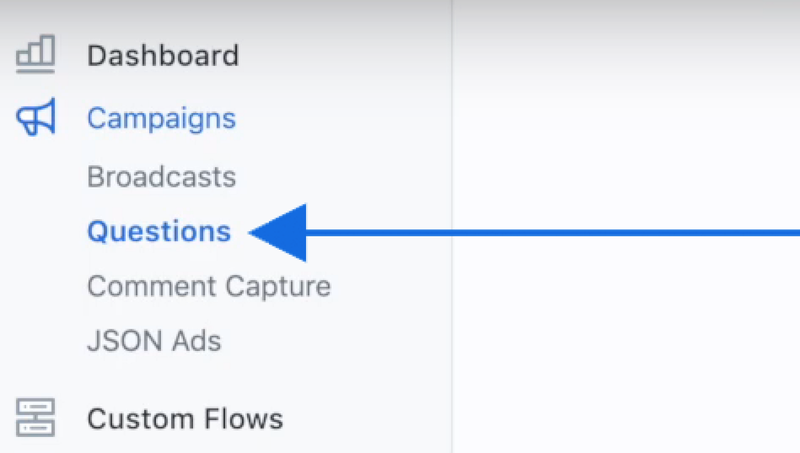 🔹 Select the call-to-action that you want to appear on your Facebook ad. 🔹 Choose an existing campaign and ad set, or create new ones, define your daily budget, and choose your target audience. You can change all of this later. 🔹 Push “Create” to publish to your Facebook ads account. 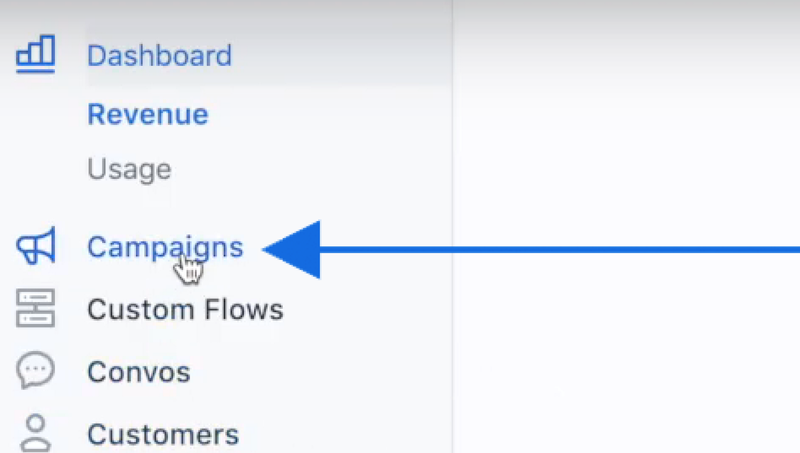 🔹 Click the “Facebook’s Ads Manager” link to view the ad in your Facebook ads account. 🔹 Review your ad and then click publish from the Facebook ads account. 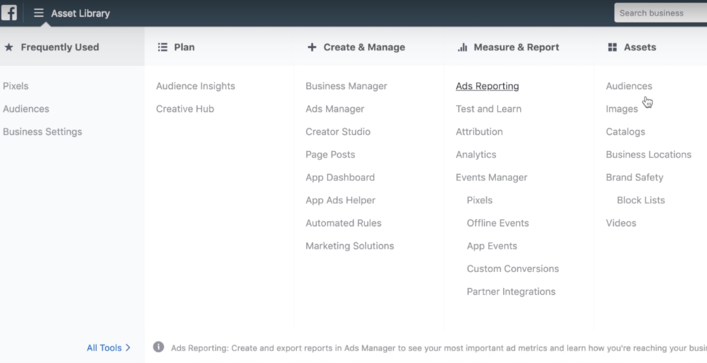 🔹 You can monitor your stats from your Facebook ads dashboard and from Octane AI. 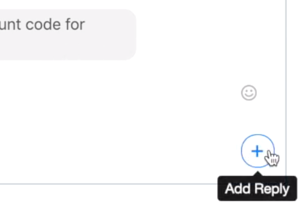 You can update your ad conversation at any time by going to the Facebook Ads page on Octane AI, updating the Click-to-Messenger ad, and re-saving it. Woooo! You created a Click-to-Messenger ad! Now… want to make a Sponsored Message? Let’s do it. 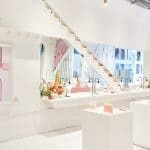 I’m going to walk you through, from start to finish, how to setup a Sponsored Message ad for your Shopify store (or for your clients). You can follow along with me in real-time in the video, or if you prefer to read through the steps, I have written them out below. We will create a custom Facebook Audience to target people who come to our online store, look around, and then don’t add any items to their cart. An automated Sponsored Message that will get sent out thanking people for stopping by the store and then recommending the most popular items. Sign Up for Octane AI and Connect Your Facebook Page. 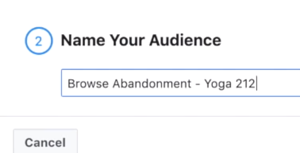 Create a Custom Browse Abandonment Facebook Audience. 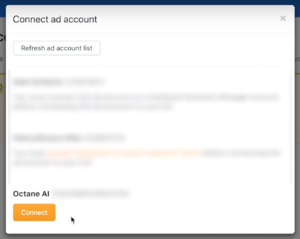 Connect Your Facebook Advertising Account to Octane AI. 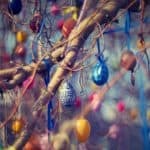 Create and Launch a Sponsored Message. If you don’t already have a custom audience on Facebook for browse abandonment, let’s make that now. 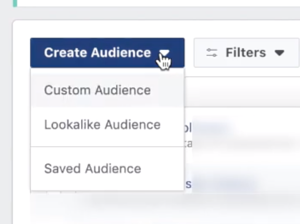 🔹 Go to your Facebook Ads Manager, click the menu item in the top left, and mouse over “All Tools” on the bottom, and then click “Audiences” under “Assets”. 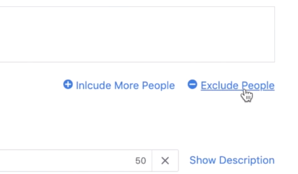 🔹 Click “Create Audience” and then “Custom Audience”. 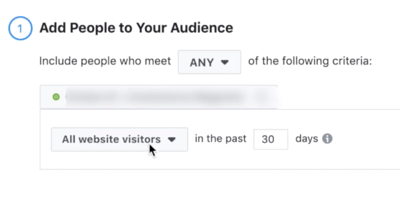 🔹 Set your audience as “All website visitors” in the past “30” days. 🔹 Set to “AddToCart” in the past “30” days so that we can filter out the people who did add an item to their cart. 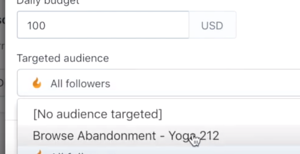 🔹 Name your audience and click “Create Audience”. 🔹 Click “New Sponsored Message” at the top of the page. 🔹 Write out the first part of the Sponsored Message. This is the first message people will get when they are sent the Sponsored Message. 🔹 Click the “Add Reply” button on the right to add a button people can push to continue the conversation. 🔹 Write out a new message to the bottom left. This is the message people will get when they hit the “Yes!” button. 🔹 Now let’s add some products! Click the grey + button and then select the “Add a product” icon. 🔹 This will automatically pull in all the items from your store and let you choose which ones you want to include in the Sponsored Message. Choose the ones that make sense for your browse abandonment Sponsored Message. 🔹 Add another message below that prompts people to go view all of your products on your store. 🔹 Click the grey + button, choose the “Add Button” option, and then select “Link to a Web site”. 🔹 Add the button text “Shop now” and the URL for your website (or a collections page). 🔹 Create a new campaign and ad set or choose existing ones. 🔹 Set a maximum bid (optional) and a daily budget. 🔹 Choose your browse abandonment audience from the dropdown. 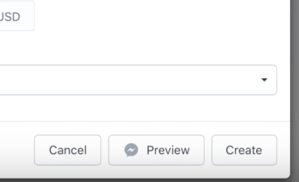 🔹 Click “Preview” to see what the messages will look like, and then click “Create” when you are ready to add this to your Facebook Ads Manager. 🔹 Click “Review and Publish” to turn the ad on. Boom! Now you’ve set up your very own Sponsored Message. And this is only the beginning! 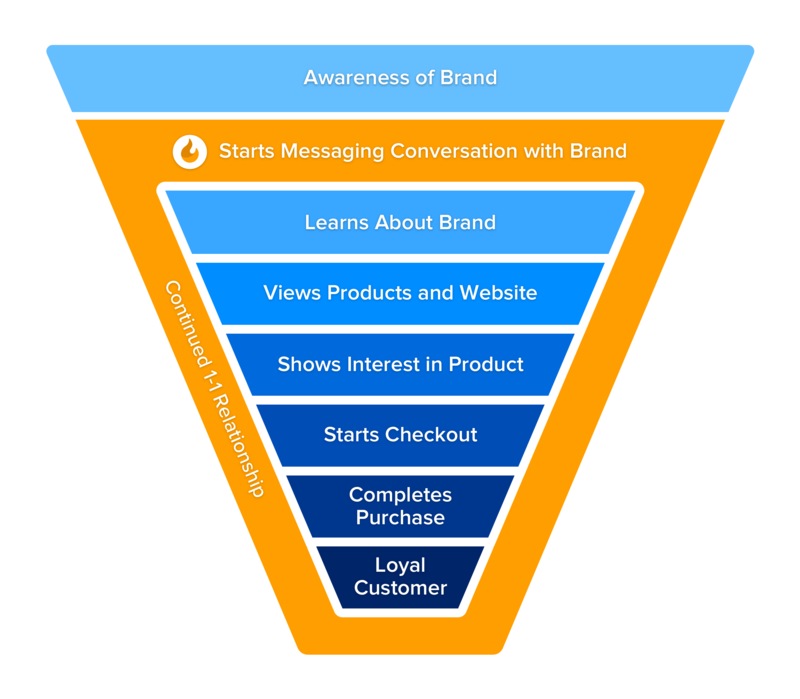 There are so many different types of messages and audiences you can combine throughout the customer journey. But what if you need help setting these up? Don’t worry, we’ve go to you covered. Keep scrolling. Can Someone Help Me Run Conversational Facebook Messenger Ads? Absolutely. There are two ways you can get help with your conversational Facebook Messenger ads. We are always happy to answer any questions you have when you are setting up Click-to-Messenger ads and Sponsored Messages with Octane AI, just send us a message at team@octaneai.com and we’ll get back to you as fast as we can. 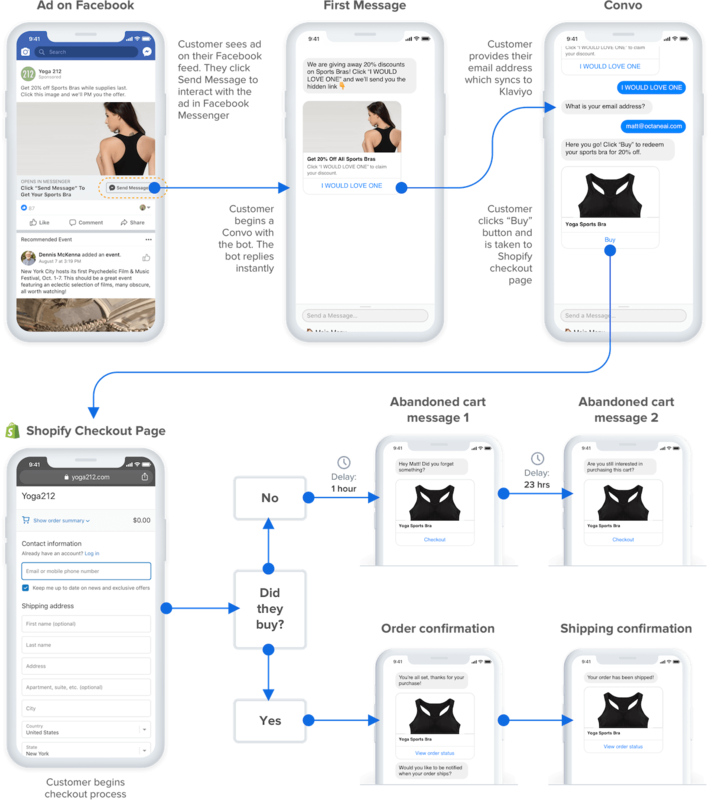 Want a professional to run Octane AI and your entire conversational Facebook ad strategy? We have verified a list of our agency partners that can jump right in and help. If you also want to meet a bunch of likeminded entrepreneurs you can share ideas with and get feedback from, we have a community just for that. Interested in joining? Scroll down. Some of the most advanced techniques are found when you can collaborate and share ideas with a community of people experimenting just like yourself. At Octane AI we are a big believer in the power of community, so we have created a private community exactly for this. 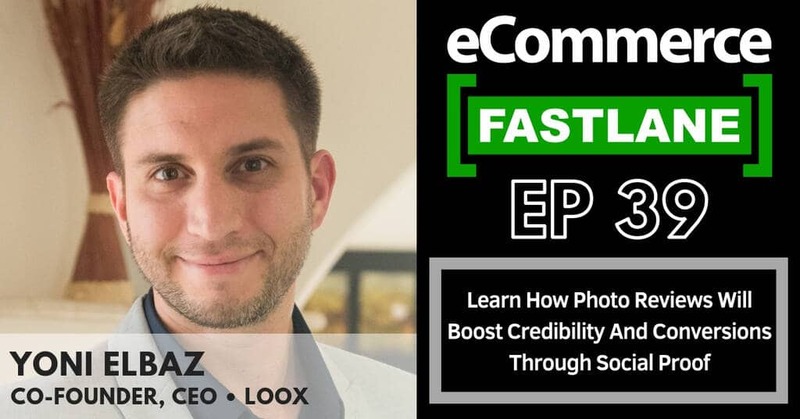 The Ecommerce Messenger Master Class Community is full of some of the smartest minds in the world of ecommerce, including CEOs of top ecommerce tech platforms, marketing experts at the top ecommerce agencies, and brands that are making millions of dollars to hundreds of millions of dollars in revenue a year. Share interesting conversational ad and conversational automation experiments with Octane AI. Give feedback to others and learn from their successes and mistakes. Early access to new tools and playbooks from the Octane AI team. Have fun and grow your business! 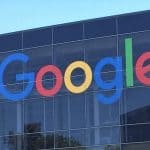 This article was originally published by our friends at Octane AI.